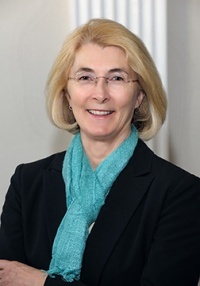 She focuses her civic attention on land use and transportation, serving on the ACE and CHART committees since 2000; the Transportation Working Group, 2005; and the Development Review Task Force, 2006-present. As an officer of the Earlysville Area Residents' League, 1995-2007, she encourages citizen involvement in local government. She once again resumed the chair's role at the beginning of 2018. Mallek grew up in Albemarle County and graduated from Albemarle High School in 1967. She graduated from Connecticut College in 1971 with a B.A. in Zoology. Since 1983 Mallek and her husband Leo have managed the family farm in Earlysville where they raised their two daughters. The farm produces grass-fed beef and pesticide-free vegetables. She is currently[when?] the Central Virginia Educator and Program Coordinator for the Virginia Museum of Natural History. Ms. Mallek is a member of the Thomas Jefferson Planning District Commission, League of Women Voters, Albemarle County Farm Bureau, Charlottesville Regional Chamber of Commerce, Piedmont Environmental Council, Southern Environmental Law Center, and Rivanna Conservation Society. She is serving as vice chair on the Rivanna River Basin Commission. In 2004, Mallek was a member of the board of Advocates for a Sustainable Albemarle Population. Mallek is an Educator/Coordinator for the Virginia Museum of Natural History. Ann Mallek launched her bid for re-election at a press conference on January 13, 2011. Mallek was first elected to the White Hall seat on the Albemarle County Board of Supervisors on November 6, 2007. Running as a Democrat, she defeated Republican David Wyant by 605 votes. Registered voter turnout in the district was 49 percent. ↑ Web. 2015 November General - Unofficial Results, Virginia State Board of Elections, November 3, 2015, retrieved November 3, 2015. ↑ Web. Supervisors Honor Ben Hurt, Crozet Gazette, Crozet Gazette, January 13, 2011, retrieved January 14, 2011. ↑ Marshall, Jack. Board list on ASAP letterhead in letter to Brian Wheeler. 30 Nov. 2004. MS.
↑ Web. Mallek appointed to Virginia Board of Workforce Development, News Staff, Charlottesville Newsplex, April 25, 2016, retrieved April 25, 2016. ↑ Web. Audio from January 4, 2012 Meeting of the Board of Supervisors, Charlottesville Tomorrow, January 4, 2012, retrieved January 4, 2012. ↑ Web. New Albemarle board deadlocked on first vote, Brendan Fitzgerald, C-VILLE Weekly, Portico Publications, January 10, 2012, retrieved January 12, 2011. Print. January 10, 2012 , 24.02, . ↑ Web. Ann Mallek announces re-election campaign for Albemarle Board of Supervisors, Brian Wheeler, Charlottesville Tomorrow, 13 Jan. 2011, retrieved 13 Jan. 2011. This page was last edited on 24 January 2019, at 20:15.